We all know how important it is for us to stay hydrated, but it’s just as essential for our pets. Their bodies are made up of approximately 80% water, which plays many important roles from regulating body temperature to providing cushioning support for joints and internal organs. It also helps digest food, transport nutrients and eliminate waste. For these reasons, it’s important to provide your pet with access to fresh water at all times – especially during summer when animals lose more fluids through panting or sweating, and their water sources evaporate more quickly. Although it might seem ridiculous that you have to cater to your pet’s water preferences, it’s crucial to do it. After all, we prefer certain types of drinks over others— so it’s only fair that our pets can have preferences too! 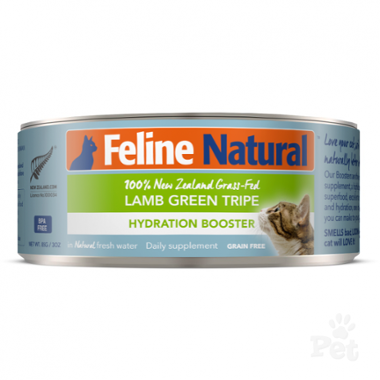 If you cannot add a wet food to your pets diet, you can also wet your pets existing food can help to assist your pet in meeting their daily fluid requirements. This is easy for pets feed biscuits or kibble, you can soak it in water prior to feeding to help to increase their daily water intake. But this idea also works for other types of pets for example for horses in order to get them to drink more water you can wet their hay or food prior to feeding. Also for birds, reptiles, horses and small pets by feeding more fresh fruit and veges you can help them to stay more hydrated in summer, as these foods are naturally more moist than dry foods like biscuits or pellets. Many pets prefer to drink water when it is flowing, luckily there are a range of water fountains like the Zeus Fresh Water Fountain that are designed to provide a continuous supply of fresh, filtered and cool water for your pet. Using a pet water fountain can help to encourage your pet to drink more water, especially if you have a pet that is fussy about their water as these fountains help to keep water fresh and debris-free. There are a range of fountains especially designed to suit both cats and dogs, in a range of styles, shapes and sizes. Not only will your pet love their fountain, it means less work for you as well! As fountains hold up to 6L of water this means you do not need to refill them as often as traditional water bowls. If your pet likes to roam throughout your house, make sure you have multiple water sources located throughout your home for them. If you have a multi level home put water bowls on each floor of your home, as well as outside. By using multiple bowls or water sources it means your pet has access to more water which will ensure no matter where they are they never get dehydrated. But be sure to clean all of your dog’s water sources in your home on a daily basis, as without cleaning bacteria can build up and be harmful to your pet. Your pets water should always be fresh and clean to keep it this way, refill your dog’s water bowl often as possible. But always be sure to refill it at least once a day so as to prevent them becoming dehydrated. Also be sure to scrub the bowls thoroughly daily with hot water to ensure you remove any bacteria growth. To keep your pet cool and hydrated you can add ice cubes into your pets water bowl in order to help to keep it refreshingly cool throughout the day. Or alternatively in summer you can freeze one of their bowls of water and put it out in the morning, it will slowly defrost to keep your pet cool and hydrated. Electrolytes are chemical or minerals that form ions in body fluids. Keeping electrolytes balanced within your pet’s body is important for maintaining the proper amount of water in the body. Electrolytes are also important for regulating nerve and muscle function, balancing blood acidity, and allowing important bodily processes to occur. When your pet is not getting enough water, their body responds by drawing fluid out of cells. This results in a loss of electrolytes, such as sodium, calcium, magnesium, and potassium. Luckily you can purchase electrolytes to give to your pet to help them to recover from dehydration, illness, injuries or strenuous physical activity. Electrolytes are crucial for your pet’s body to function properly, so be sure to watch for signs of dehydration and give your pet an electrolyte supplement if needed! 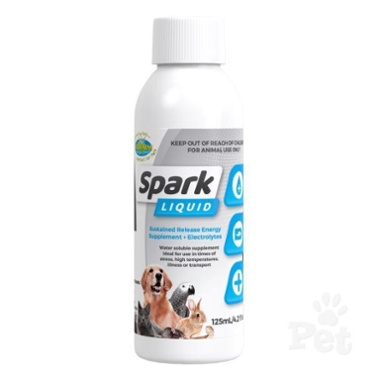 There are products that can be added to your animals water like Vetafarm Spark Liquid that is suitable to be used on all animals. Not only is it important to think about the type of bowl or fountain you use, it is also good to think about where you position it. No matter what type of pet you have their water bowls should be kept out of direct sunlight. But for certain pets there are more specific things that should be kept in mind. For example cats don’t like to drink from water located close to their food. This comes from their natural instincts as in the ‘wild’ water located next to their food could easily be contaminated. So cats prefer their water bowl somewhere away from their food bowl. As for birds it is important to place their water in a location where they will not defecate in it. Position it clear of any perches and away from food bowls to reduce the risk of it getting contaminated. Make sure that you are providing your pets water in a suitable container. For dogs, glazed ceramic or stainless steel water bowls are a good choice, as these can’t be chewed or tipped over easily. Also different breeds may do better with different bowl types for example tall, narrow bowls are ideal for dogs with long ears, such as Bassets and Spaniels. 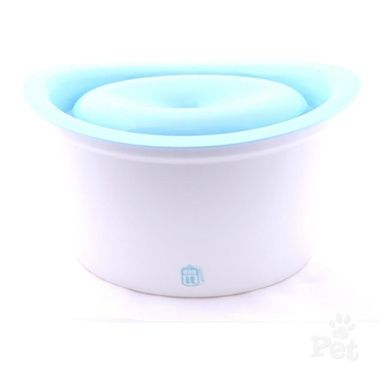 This can help to keep their ears out of the bowl, which can reduce the risk of ear infections.Smaller dogs do well with a water bowl that is low and shallow, as this will make it easier for them to drink from the bowl. A bowl that is big and wide is ideal for medium to large dogs. Cats may prefer a water fountain as they are often fussy when it comes to water so the fresher and cleaner it is the more likely they are to drink it For rabbits, guinea pigs, rats and mice, supply water in stainless steel sipper bottles in a shady area away from their food dish. Provide birds it can be useful to use a silo waterer as this limits contamination of water . Remember to clean bowls and/or bottles regularly to prevent a build-up of bacteria on them. Regularly monitoring the amount of water your pet is drinking can help you identify any potential health issues they may be facing. In animals, increased thirst can be a symptom of health issues such as diabetes. The easiest way of monitoring water intake is to measure how much water your pet’s bowl contains and how often it needs to be refilled. If there is a noticeable increase in the refill rate, and there is no dramatic change in temperature or their diet, it would be worth contacting your vet for a check-up. But remember cats will source water from other places than the bowls that you provide as they drink from puddles, bird baths, streams, so you may think your cat is drinking less than it actually is. In summer when going out and about with your dog you always need to remember to bring water along for both for your dog and yourself. The best way to do this is to pick up a portable travel bowl or doggy water bottle. This makes it much easier to bring along the water your pet needs to stay hydrated while on adventures. Also when travelling with your pet in the car over summer it is important to remember to take regular stops to let your dog stretch their legs and have a drink in order to keep them comfortable and healthy. Dehydration results when too little water is consumed in relationship to the amount lost from the body. For example, a dog who is sick with vomiting or diarrhoea and doesn't feel good enough to drink lots of water to make up for these fluid losses can readily become dehydrated. But dehydration is a lot more common in pets in summertime when the increased heat means our pets require more water. It can commonly happen when a pet isn’t interested in or doesn’t have access to a constant supply of fresh water. For example think about the tennis ball obsessed dog who doesn’t like to interrupt a good game of fetch to gulp down some water. Some common symptoms of dehydration include lethargy, sunken eyes, and loss of appetite and depression. Another common symptom is when pets’ gums lose moistness and become dry and sticky. You can test whether your cat or dog is dehydrated by lifting a fold of their skin. If it doesn’t quickly return to its normal position, then your pet could be suffering from dehydration. Seek veterinary advice immediately, as severe dehydration cannot be cured by simply providing your pet with more drinking water. Your vet may need to provide fluids intravenously and do a general check-up. Water plays a massive role in the health and well being of all types of pets, so it is important that you always provide access to fresh and clean water. Although in the summer months our pets may struggle with the heat and require more water than usual. In order to ensure your pet does not become dehydrated it is good to consider alternative forms of hydration such as wet food, ice and electrolytes. Alongside this, always ensure that their water bowls remain clean and topped up!